That was a long time ago before Swayze had hits like “Dirty Dancing”, “Ghost” and “Point Break”. 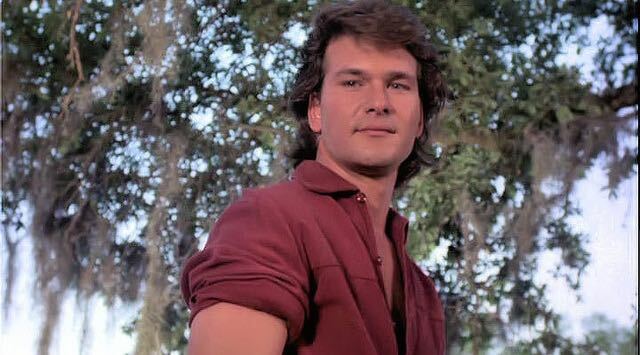 He would have turned 65 today but Swayze died of pancreatic cancer at the age of 57 in 2009. When I spent a day with him in 1985, when he was 33, he was full of life, feisty and combative. I drove out to his spread just after lunch as his wife, Lisa Niemi, was just heading out. Swayze greeted me with a wave of a bottle of red wine. “You boys behave, now,” Niemi said before she left. Swayze kissed her and he was pouring wine before the door closed behind her. Energetic and immensely likeable, the young actor couldn’t sit still and suggested we take our glasses – and the bottle – out to the corral so he could show me his horses. As a child, he studied with his mother, dancer/teacher Patsy Swayze (“Urban Cowboy”), at her studio in Houston, Texas. As a fiercely enthusiastic high-school athlete, he was offered scholarships in gymnastics, diving, track and football but instead he joined the “Disney on Parade” touring show, performing all over the U.S. for a year. After a stint as an ice skater in Houston, he moved to New York and studied with the Harkness, Joffrey and Feld dance companies. His first chance on Broadway was with Joel Grey in “Goodtime Charley” and then he followed John Travolta as the lead in the long-running “Grease”. So was Patrick Swayze. I recall well that afternoon at his ranch with the wine, the horses and the sunshine when life was full of promise. He said he retreated to his ranch between projects because “horses don’t mess with you; dogs don’t mess with you; you do it right and they work beautifully for you”. 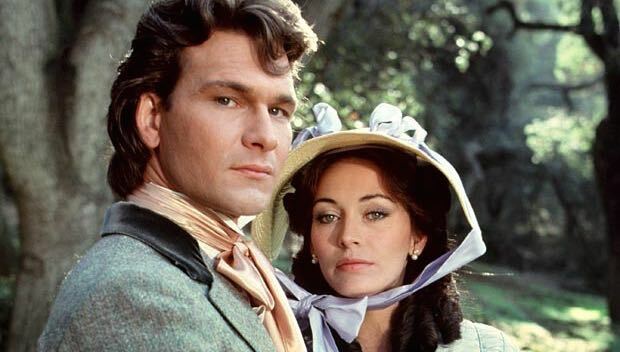 This entry was posted in Film, Interviews, Memory Lane, Music and tagged 'Dirty Dancing', 'North and South', Jennifer Grey, Lesley Anne Down, Lisa Niemi, Patrick Swayze, Patsy Swayze, Steve McQueen. Bookmark the permalink.